The Nintendo Labo is certainly a work of creative ingenuity. However, perhaps the most creative are the people that are using Nintendo Labo. Of both the Variety and Robot Packs, it seems that the Variety pack is certainly the most popular. 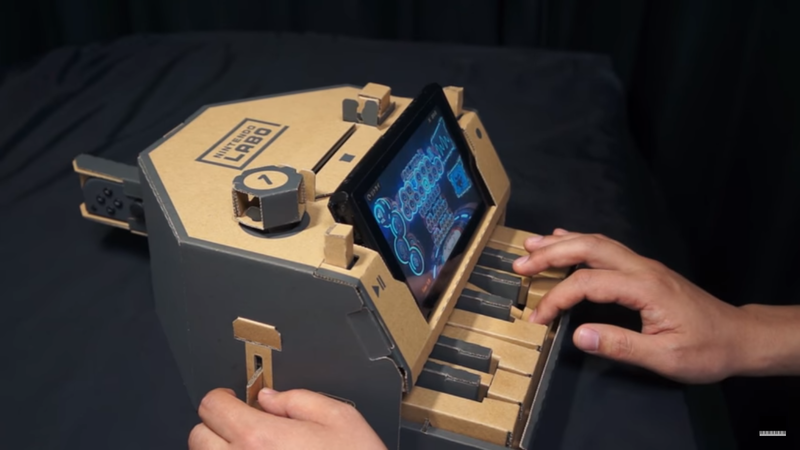 Most especially, the Nintendo Labo piano has been a particular favourite to young children and adults alike. In fact, some users have been using the piano to perform some of their favourite songs. One user who goes by the name of Tohru Yamaguchi has uploaded a couple of videos to YouTube show him playing The Legend of Zelda and Super Mario theme tunes. It is actually very nice to listen to and just goes to show how ingenious The Nintendo Labo is. If you would like to see and listen to Tohru Yamaguchi’s work, we have embeded a couple of videos below. If you would like to see more of Tohru’s work, be sure to check out his YouTube Channel.